In case you’re already fretting about what to do once Sherlock Series 3 is over, worry not. You’ll still be able to get your consulting detective fix as we start on the (hopefully not as) long road to Series 4. You’ll be able to spend part of the next hiatus solving cases with Sherlock and John yourself. An official Sherlock app, called Sherlock: The Network offers fans the chance to join the great detective’s homeless network. As part of the game you get to assist Holmes and Watson on ten new cases, virtually navigating your way around London on foot, via taxi or by tube, talking to witnesses and gathering evidence. You can also play mini-games that encompass hacking, code breaking, observation and more. Specially shot footage of stars Benedict Cumberbatch and Martin Freeman will appear in the game, as well as co-star Mark Gatiss. Get some details and watch official trailer for the game below – spoiler: it looks quite fun! "We've already seen people say, 'This is great - this has given me my Sherlock fix! '” said Rob Barnes, Creative Director at The Project Factory - the award-winning digital production company that devised the app alongside Hartswood Films. “It's a little bit of Cumberbatch in your pocket." Sherlock: The Network was released in the UK (and possibly everywhere else but America) earlier this week, and will hit the US app store beginning Monday, January 27. Sadly, it’s currently only available for iOS users, so if you don’t have an iPhone or iPad, you’ll have to wait a bit longer to solve cases with the Baker Street boys. 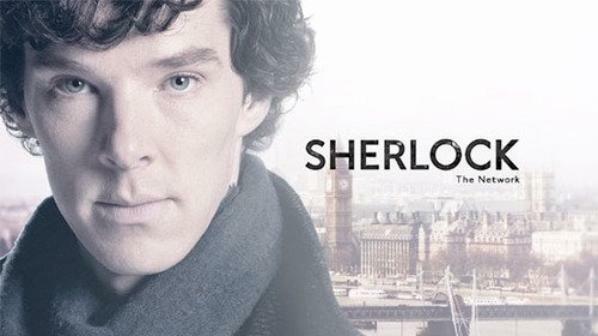 Fansite Sherlockology is reporting that an Android version is on the way, but release details have yet to be announced.